Child labor is a widespread social problem in Egypt and other developing countries. Many poor families cannot afford to live without the income children bring into the family and, hence, many children are taken out of school far too early if they join at all. To alleviate the child labor problem and to provide as many children as possible with the most essential skills, the SEKEM Community School was designed to stimulate creativity and thinking as a basis for further vocational training such as carpentry and mechanics. The educational part is coupled with an opportunity to gain income through adequate work, mainly related to the chamomile harvest (which is why those children are called “Chamomile Children”). 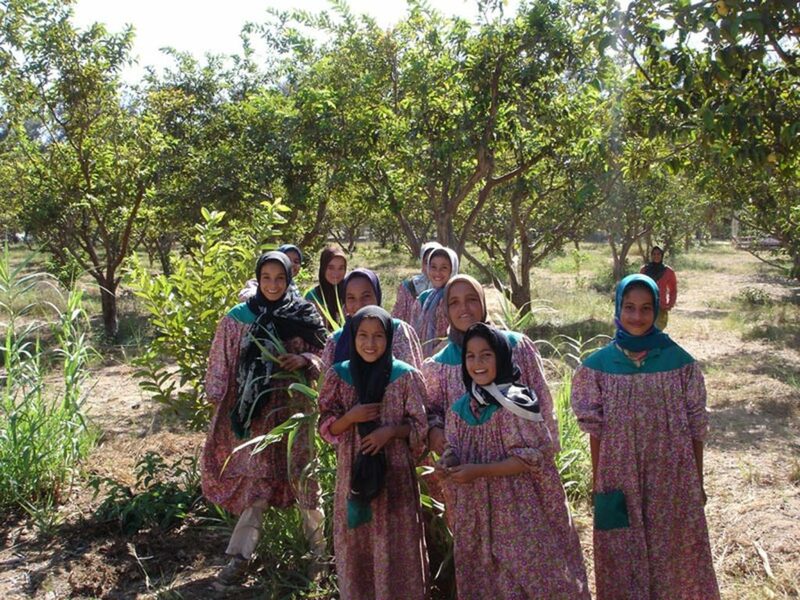 This program is officially approved by the Egyptian government and covered by the Egyptian law that allows light work for children between 12 and 14, especially in the agricultural sector, if it is coupled with adequate training and the right working conditions. The children also have the option to enroll at the SEKEM Preparatory School, although this path is rarely chosen due to the need to gain an early income. The curriculum at the Community School in SEKEM encompasses subjects like English, Mathematics, Arabic and Religion. To improve health care and hygiene the SEKEM Medical Center conducts awareness programs and offers medical services free of charge. Warm, nutritious meals and adequate clothing are provided for the children as well. Later on, our Chamomile Children are able to join the Vocational Training Center in order to receive practical training.